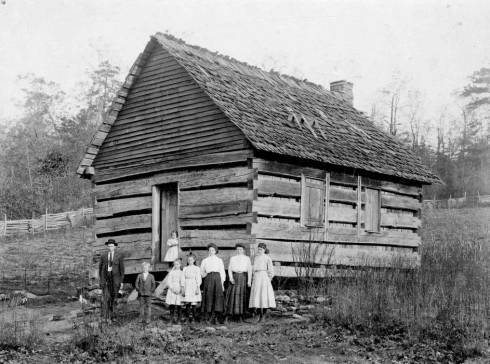 More than 500 photographs contributed by Transylvania County Library have been added to the Images of North Carolina collection on DigitalNC. 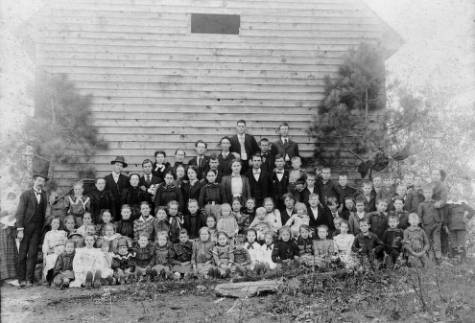 Many of these images center upon school life in Transylvania County, from rural schools of the early twentieth century to Rosman High School, Brevard High School, and Brevard College. These photographs complement earlier contributions of photographs by Transylvania County Library that feature scenes of community life. Quebec School Number One, before school taxes. Lakeside School (also known as Hogback Valley or Pea Ridge). 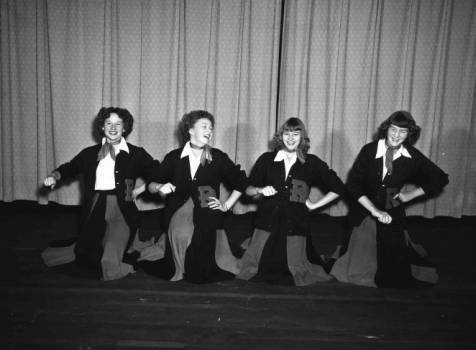 Rosman High School cheerleading, February 2, 1954. 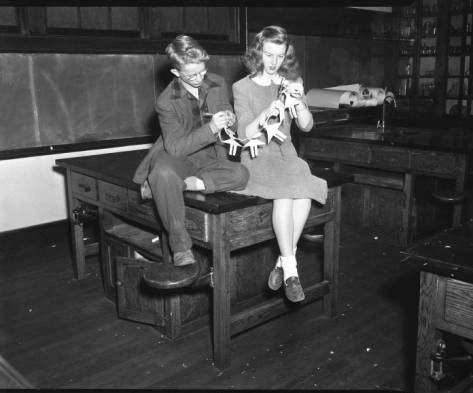 Brevard High School, Most Original Robert Hunter and Carolyn Kizer, 1947. 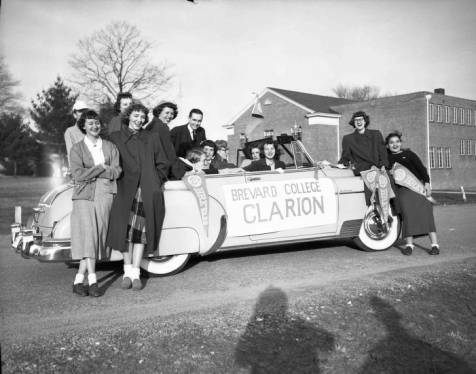 Brevard College, Clarion Loyalty Campaign. More than 1,000 early issues of The Chatham Record, a weekly newspaper published in Pittsboro, are now available in the North Carolina Newspapers digital collection. The papers cover the years 1879 to 1901, a crucial period in North Carolina history as the state emerged from war and reconstruction and engaged in fierce political battles that would resonate throughout the twentieth century. The Chatham Record covered local businesses and social news, but also had more of a literary bent than many of the papers we’ve worked on. Many issues include poetry and short stories, often featured on the front page. The Chatham Record was nominated for digitization by the Chatham County Public Library. Forty-two editions of the Saint Mary’s School Bulletin and The Muse have been added to DigitalNC. These volumes are rich with information about the school, including course information, alumnae notes, and descriptions of campus events such as opening ceremonies and commencement. 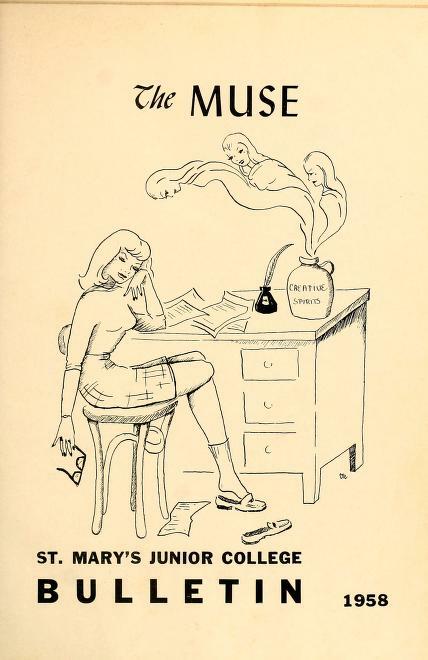 The Muse eventually evolved into a literary journal, containing poetry and prose, along with visual art of all sorts: pen and ink drawings, photographs, woodcut prints, and collages. Early issues of the Asheboro Courier are now available in the North Carolina Newspapers digital collection. More than 500 issues, ranging from 1884 to 1912, have been digitized. The Courier was one of the first newspapers to be published in Asheboro, tracing its origins back to 1876. Unfortunately, few early issues are available. The Courier, boasting the lofty slogan “Principles, Not Men,” favored the Democratic Party in its coverage and editorials, promoting Democratic candidates at the local, state, and national level. The local coverage of the paper appears to be excellent, and the long social columns and many letters to the editor suggests that the paper was a true community institution. The newspaper merged with the Randolph Tribune in 1940 to form the Asheboro Courier-Tribune, which is still being published, making it one of the oldest continuously-published newspapers in North Carolina. The Randolph County Public Library nominated this title for digitization. Summer 2012 Newsletter Now Online! Read about recent activities at the North Carolina Digital Heritage Center, including highlights from the newspaper collection, featured projects, and more in the Summer 2012 newsletter, now available online.